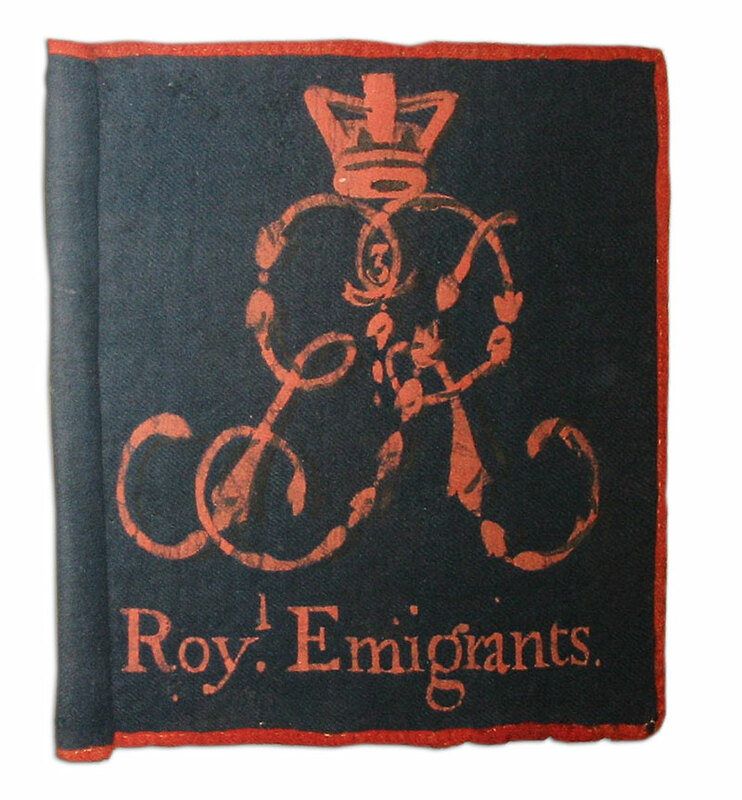 The Royal Highland Emigrants (RHE) had the honour of being the first Loyalist regiment formed in America. It was commanded by Allan McLean, a veteran of the Seven Years War. In that earlier conflict, McLean was active: He was wounded at the Battle of Carillon (Ticonderoga) in 1758, and also at the siege of Fort Niagara in 1759. As the name suggests, the regiment was intended to be recruited largely from emigrants of Scotland, who had settled the Mohawk Valley in the colony of New York, Quebec and elsewhere in North America. But its actual composition was diverse. For example, a 1783 list of its members stationed at Fort Haldimand on Carleton Island (at the confluence of the St. Lawrence River and Lake Ontario) shows that only 23% of that 520-man detachment was Scottish. The largest ethnic group was Irish (33%). Moreover, the regiment also had a French company! Nonetheless, the regiment had a very Scottish appearance: It was “to be cloathed, Armed and Accoutred in like manner with His Majesty’s Royal Highland Regiment.” Thus their uniform consisted of red scarlet coats with blue facings (the latter a standard feature of regiments with the “Royal” prefix). They also wore kilts of the Black Watch tartan, sometimes worn over canvas trousers for protection against the cold of winter and the insects of summer. The regiment’s first battalion served in the northern department (based in Canada) and settled in the eastern portion of our area, in what became Glengarry and part of Stormont counties. The RHE also participated in the pursuit of the retreating rebels the following spring, aided by fresh reinforcements that arrived from Britain. Thereafter, the regiment’s first battalion primarily performed garrison duties in Canada and its outposts. It was eventually raised to the status of 84th Regiment of Foot. Loyalist historian Mary Beacock Fryer called the RHE “the most professional” of the Loyalist regiments in the northern department. The King’s Royal Regiment of New York (KRRNY) was also raised early in the war, when Sir John Johnson arrived in Canada from his home in Johnstown, New York, in the spring of 1776. 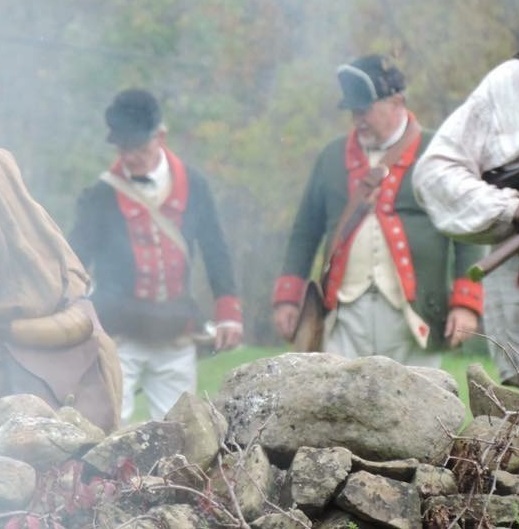 He had narrowly escaped capture by the rebels; he and 170 men, who formed the core of the regiment’s first battalion, had trekked from the Mohawk Valley, through the Adirondack wilderness, for several weeks. 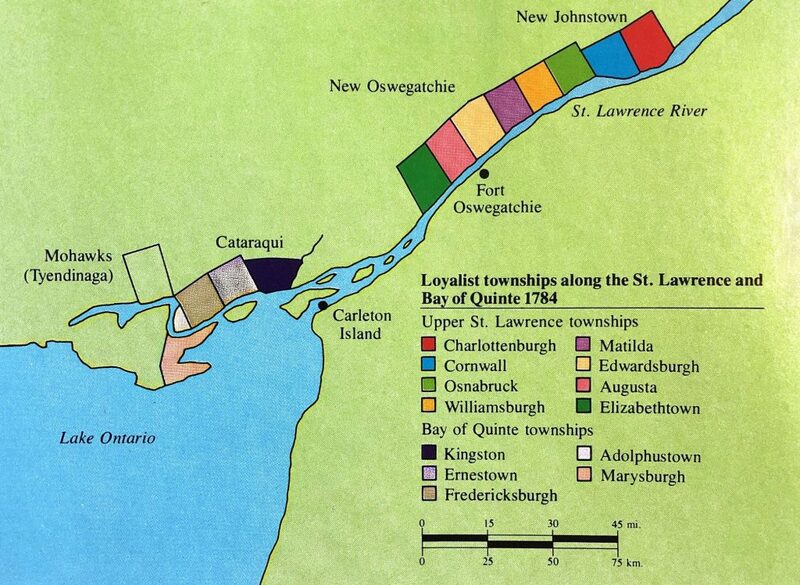 His party emerged from the forest on the south shore of the St. Lawrence River at the Iroquois village of St. Regis, coincidentally close to the area where his disbanded regiment would settle eight years later. Johnson was not an experienced military man, but he had observed, first-hand, several battles and campaigns during the earlier Seven Years War. Many of his senior officers, however, were military veterans: For example, Major James Gray, his second in command, and Samuel Anderson, his most senior captain, both saw service during the Seven Years War. Johnson owned huge tracts of land in the Mohawk Valley, inherited from his famous father Sir William Johnson who died in 1774. The KRRNY was the largest provincial regiment in the northern department, comprising two battalions. The second battalion, however, never reached its full complement. Its recruits hailed largely from the lands adjacent to the Mohawk River and upper Hudson River, in the colony of New York. In the early part of the war, their uniform consisted of green coats, possibly faced with blue, but more likely faced with red (first cloathing period). 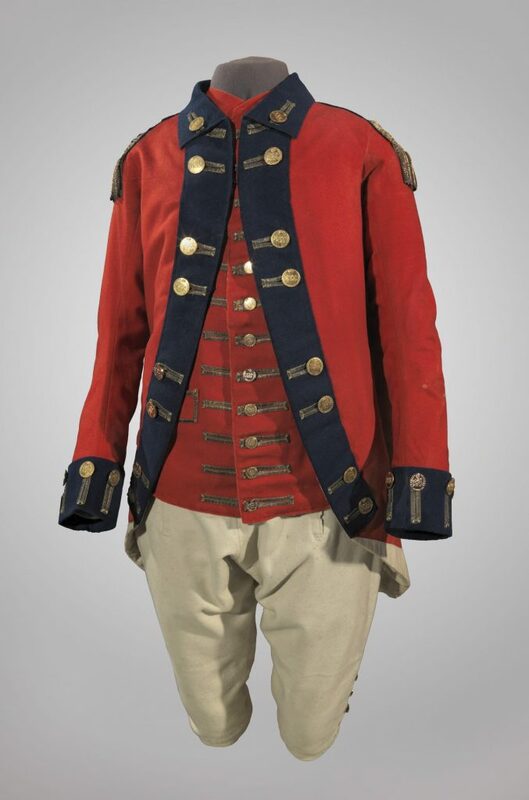 Later in the war, the uniform was changed to red coats faced with blue (second cloathing period). As noted above, blue facings were standard for regiments with the “Royal” prefix. After the war, the regiment’s first battalion settled in the central and western portion of our area, in what became Stormont and Dundas counties. These townships were known collectively as “New Johnstown,” although the town plot that eventually became Cornwall was also known by this name. Eventually, the townships would acquire the names listed above, and be incorporated into the counties of Stormont, Dundas, and Glengarry after the region became part of Upper Canada in 1791. Upper Canada eventually became the Province of Ontario, whose official motto is “Ut incepit Fidelis sic permanet” (Loyal She Began, Loyal She Remains). Please see our pages A Pre-Loyalist Assessment of SD&G and Early Impressions of Loyalist SD&G for more information.